"My mother had four daughters by four different men." There's only one way Shelby and her sisters can describe their mother: She's a sexpot. 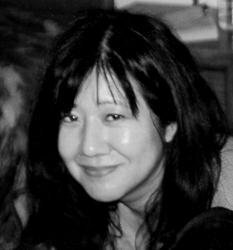 Helen Kimura collects men (and loans, spending money, and gifts of all kinds) from all over the country. Sure, she's not your typical role model, but she's also not just a pretty face and nail polish. She is confident and brave; she lives life on her own terms, and her four daughters simply adore her. These girls have been raised outside the traditional boundaries. They know how to take the back exit. They know how to dodge crazed lovers in highway car chases. They do not, however, know how to function without one another. Then suddenly they must. A late-night phone call unexpectedly shreds the family apart, catapulting the girls across the country to live with their respective fathers. But these strong-willed sisters are, like their mother, determined to live life on their own terms, and what they do to pull their family back together is nothing short of beautiful. 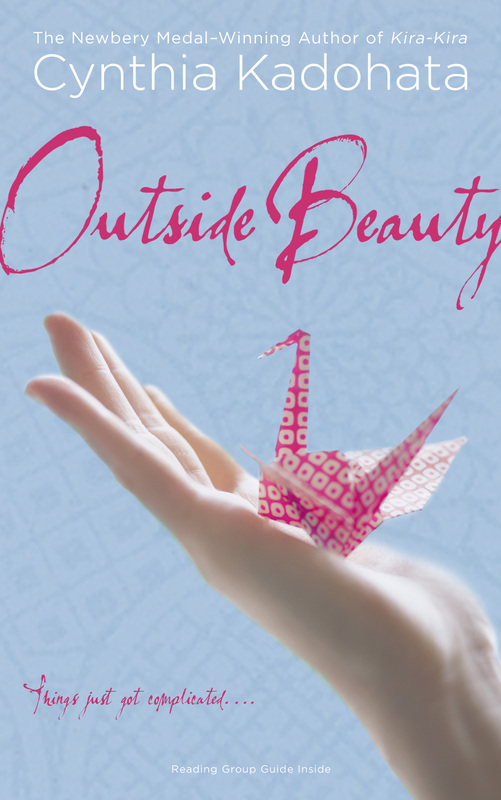 At turns wickedly funny and insistently thought-provoking, Outside Beauty showcases Cynthia Kadohata's unerring ability to explore the bonds that bind. 1) Exploring the bonds that bind a family is one of the major themes of the story. What are some of the expressions of closeness that the sisters display? 2) What are some of the characteristics the sisters share? What are some of their differences? 3) What adjectives would you use to describe Shelby? Marilyn? Lakey? Maddie? Helen? 4) The impact of Helen's behavior on the sisters is complex. How does her attitude toward men shape the sisters' attitudes? How does her use of her beauty affect them? 5) How do the sisters view their mom's beauty? How do they reflect her values? 6) In many families the siblings take care of one another. Describe the relationship of Shelby and Maddie before they go to live with their fathers and then while they are separated. 7) How do the fathers relate to Helen now that they are no longer with her? How do they relate to their daughters? How do they relate to one another? 8) The discussion of marriage comes up many times in the story. How has their mother's desire not to marry affected the sisters? 9) Helen and the fathers are described as outsiders. Helen found each man through their shared loneliness. Have the sisters also become outsiders? Can they change? 10) Which sister is the most rebellious? Who is the most compliant? Who is the most motherly? Give examples that support your choices. 11) We learn both from our parents and from our surroundings. Do these characters reflect both? Give examples of what the sisters have learned from their parents. Now give examples of things they have learned from their surroundings. List some of the things the sisters have experienced because of their unusual lifestyle. 12) The isolation that the sisters felt when they were sent to their fathers' houses was both geographic and personal. With the technology available today, including cell phones, camera phones, and Internet with social network sites, how might the girls' situation be altered? 13) How did the powwow process help the sisters communicate? Did this always work for them? 14) How does each sister view her mother? Her father? Herself? 15) What personality characteristics do the girls share with their fathers? How were Mack and Marilyn similar? Lakey and Larry? Shelby and Jiro? Maddie and Mr. Bronson? 16) What character has changed the most in this story? Has any character remained unchanged? 1) Did you understand the special language, thetheguh, that the sisters speak (page 25)? Try writing a sentence using their special language. Have you ever made up your own language? Try making one up. 2) Diagram on paper the complex family tree of Shelby and her sisters. Include Helen, with all of the fathers, sisters, and any other brothers and sisters and spouses. How does this compare to a traditional family tree? 3) Get a map of the United States and map the places mentioned in the story as the girls travel with their mom, when they are with their dads, and when they run away. Where do they end up? 4) Each of the girls has a distinct look they feel helps define them. Using magazines, can you find pictures that you think show characteristics of a Japanese-Italian girl? A full Japanese girl? A Japanese-Anglo? Put these pictures together to create their family. How significant is physical appearance in the bond of families?